One of the biggest challenges in switching to a real food diet is figuring out what to eat for breakfast. Breakfast cereals are a really common choice these days, especially for kids, but sadly are not real food. Even healthy and organic breakfast cereals must be processed in some way to reach cereal form, and virtually all of them have added sweeteners. Some even contain more sugar than donuts! Virtually all breakfast cereals are very high in sugar/carbs and almost all contain processed grains. This means that they are high in phytic acid, which can damage the intestinal lining and lead to tooth decay. Many also contain artificial colors, flavors, and preservatives. On top of that, many contain genetically modified ingredients in the form of corn products (including high fructose corn syrup), hydrogenated oils, or GMO grains. We feed our poor kids these boxed insulin spikes and then wonder why they have trouble sitting still in school! Couple that with the fact that most cereals are eaten in milk, which can have some problems of its own, and you have a breakfast disaster. (Not so) fun fact: Studies in mice have also found that mice that are fed breakfast cereals die before mice who are given only water. And more surprisingly, mice that are fed the breakfast cereal box live longer than mice fed the breakfast cereal! If you are paying several bucks a box for breakfast cereal, sadly, the most nutritious part might be the box! Oh yeah, and for a really interesting history lesson on cereal, check out this article. Even for adults, popular breakfast choices are often things like bagels, donuts, croissants, toast, cereal, Pop Tarts, etc. Sure, these things are fast and easy to prepare, but have you ever read the ingredients? If breakfast is the most important meal of the day, getting enough protein and fat is even more important! So what should we eat for breakfast? I suggest a mixture of proteins, good fats, and *gasp* vegetables! This is especially vital for children, whose developing brains need adequate proteins and fats to function. Think about it: breast milk, which is the perfect food for newborns, is almost 50% saturated fat, yet no babies get heart disease. Isn’t it logical that the need for adequate fat doesn’t just go away once babies wean? The human brain is approximately 70% fat, and since kids’ brains are rapidly developing, they need healthy fats for optimal brain function. Unfortunately, our fast-paced lifestyles and misguided interest in low-fat diets have put our kids (and us) at a big disadvantage. If you are ready to give your kids a nutritional boost at breakfast, don’t worry — the healthy options are often cheaper, and can even be easier than cereal. These kid-approved recipes are also great for adults, and ensure enough proteins and fats to make breakfast truly the most important meal of the day. 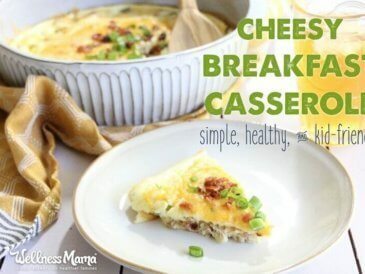 With a little preparation and planning, a healthy breakfast is possible! 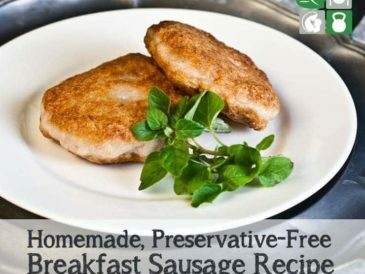 The following are some of our favorite “recipes” for breakfast, although some of them really just qualify as ideas and require no prep at all! 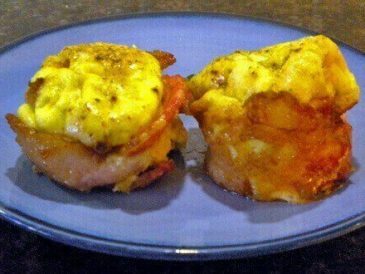 These breakfast egg muffins are an easy and tasty breakfast idea that is portable and able to be eaten on the go. It packs a powerful nutritional punch and tastes delicious. It can be adjusted to fit your child’s tastes by adding whichever vegetables your child likes. 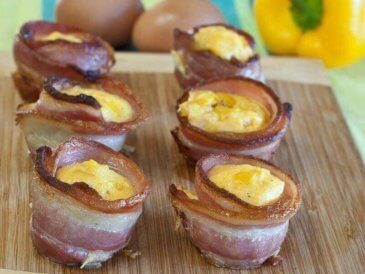 You can make these by the dozen and just reheat for breakfast each day, making breakfast faster and easier than a bowl of cereal! These energy bars are also portable and kids love them! They do contain a fair amount of sugars from the dates, so they should be paired with a hardboiled egg or some other protein. 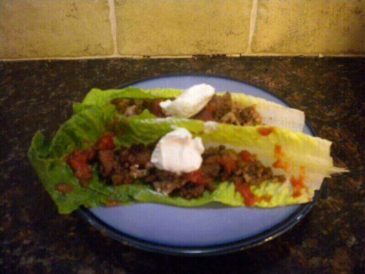 These are simple to make, and with only a few natural ingredients, they beat the heck out of Pop Tarts! When cooking for a whole family, an oven omelet is an easy way to help everyone get quality proteins and sneak in some veggies. Cook veggies and meats of choice (we love spinach, onions, ham, etc.) in a large oven-safe pan until pretty soft. Add a dozen eggs or so, scramble in with a fork and stick in the oven to finish cooking. When it’s done, cut thin slices like a pie and serve. It can even be taken on the go. Or make a classic quiche healthier with a hefty helping of veggies like in this broccoli bacon quiche recipe. While they don’t get it every day, this is the only smoothie that keeps my kids full for more than half an hour. This recipe calls for coconut milk, coconut oil, almond butter, egg yolks, banana, vanilla, and whatever flavor you like (cinnamon, cocoa powder, strawberries, etc.). It has plenty of good fats and medium-chain fatty acids to support kids’ brains, and they enjoy it because it tastes like a milkshake! It also contains much less sugar than juice-based smoothies and keeps them satisfied much longer! 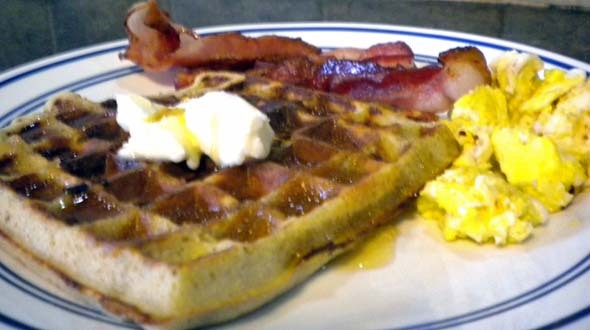 These waffles are a big hit at our house, and while they take longer to prepare, they can be made ahead and frozen to reheat. They contain more protein than some of the “eggs” you get in fast-food breakfasts, and also have healthy fats and filling fiber to keep kids (and adults) going until lunch. They also only have a few ingredients and taste great! Use strawberries and unsweetened whipped heavy cream or pure maple syrup for toppings (if you need one!). 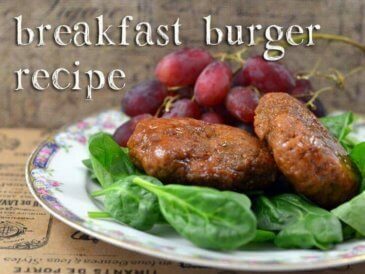 Another easy and delicious breakfast option, especially when berries are in season! Just hard boil eggs the night before and have them ready to peel for breakfast. Put a handful of sliced berries in a bowl and top with homemade whipped cream (just beat heavy whipping cream and a little vanilla with a hand mixer). Tired of eggs and smoothies? This chia seed pudding is a nice way to start the day and can be made the night before. I vary the nut milk used for this recipe (almond, coconut, or macadamia are favorites). Top with fresh or thawed berries and a sprinkle of chopped nuts or coconut for a parfait flair. These are so simple the kids can make them… one less thing for Mom to do! 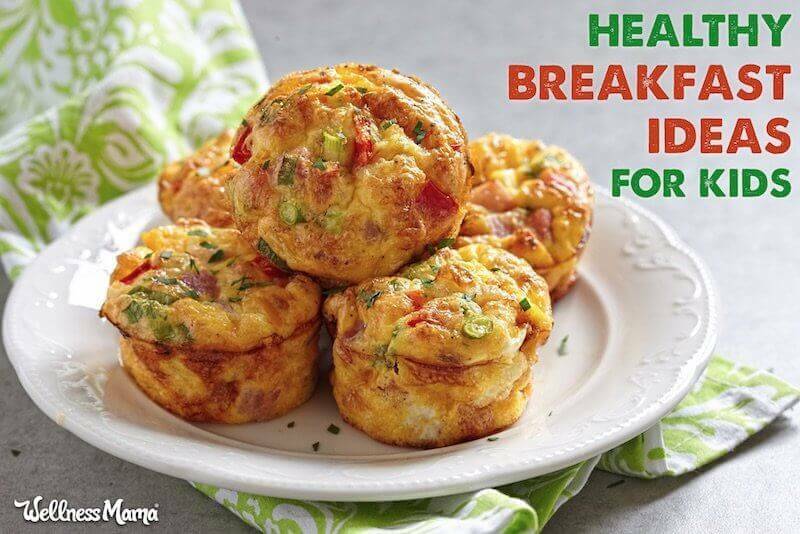 Need more healthy breakfast ideas? There are many more in my Wellness Mama Cookbook. I’m always looking for new ideas too… what are your favorites for a healthy breakfast?